Is this the world’s most universally loved whisky cocktail? Even those who profess not to like Scotch at all seem to be won over by the charms of the sour, reports Ryan Chetiyawardana. 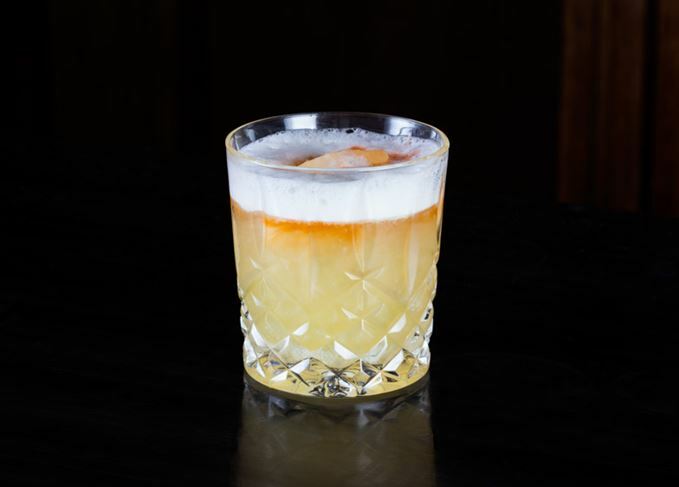 The Whisky Sour is one of the simplest yet most-loved cocktails by all manner of whisky connoisseur. Often, trying a spirit neat isn’t the ideal route into showcasing its qualities to newcomers – especially when the spirit can be smoky or big-bodied – but cocktails are great at bringing a new light to a product and can help overcome many aversions. The whisky sour is an all-conquering example of this. The sour family of drinks have at their heart a wonderful simplicity. They are a beautifully pared-down combination of a core spirit, a souring agent (usually a citrus juice) and a sweetener. Many will also contain a bitters and perhaps egg white, but the core balance lies in the combination of the spirit, sour and sweetener. It’s a simple formula, but the sourness cuts through and complements a lot in the base spirit – it’s also just a great, refreshing and uplifting serve. Using bitters helps bind all the flavours together – almost like salt and pepper in your drink – bridging everything together nicely. Don’t get put off by egg white either – you don’t taste it at all, it simply gives the drink a luxurious thickness and holds the flavours on your tongue a little longer. If you opt to omit it, the drink is sharper and cleaner. So, despite its simplicity, the drink is a great example of how to showcase the whisky at its core. By switching up the base whisky, you can explore the whisky category in much the same way as you would if you were trying the whiskies neat. Make a sour with Whyte and Mackay 13-year-old and it’s lighter and more honeyed compared with the rich, salty-smoky beauty of a sour made with Talisker 10. The great thing, you’ll find, is that the drink picks out different notes from different whiskies: some will give up their hidden fruity side, others will use their spicy dry finish to complement the sourness inherent to the drink. This drink also makes whisky a great option for before dinner, or as an early evening drink. It’s a style of cocktail that lends itself to be a reviving, almost energetic serve. It’s brilliant for refreshing the palate and providing a very welcome brightness. Even switching the whisky still keeps it within this bracket, but allows it to take on a different ‘feel’ – for example, a lighter, floral whisky such as Cutty Sark has a springtime feel about it, whereas a spicier, richer whisky such as Highland Park 12 takes the drink in an autumnal direction, while still remaining an uplifting serve. Don’t be scared of mixing single malts either – you’ll be amazed at how well they work, and perhaps you’ll discover a new side to them. Once you’re confident with mixing the drink, you can not only begin to experiment with different whiskies, but you can begin to substitute some of the other components too. For example, you can change the souring agent – to other citrus fruits, other sour fruits or even ingredients such as vinegar (it works, trust me). You can also use a different sweetener – honey, agave, maple syrup and even sweet wines like PX (Pedro Ximénez) Sherry can be used to restore balance to the drink. Of course, different bitters will also impact, lending a subtle nuance to the drink. It’s great fun experimenting and finding different combinations that suit your personal tastes and choice of whisky. Just remember: you have to use good ingredients to get a good cocktail – you wouldn’t want to sully a fine whisky with some poor sparring partners. This sour recipe is a great starting combination: the whisky is light, with coconut and vanilla shining through, and it makes for a super-clean cocktail. Exactly what you want to transport you to springtime! • Add all ingredients to a shaker and shake without ice (if you’re using egg white – it helps create a wonderful thickness). • Add lots of cubed ice and shake hard for about 15 seconds. • Using a cocktail strainer and a tea strainer, strain the drink of all ice into a chilled martini glass. • Take a strip of orange peel and squeeze it skin side down over the surface of the drink. Treat this as a starting point: it’ll help you out if you’re stuck without a recipe, or if a few too many have clouded the memory. This makes a good-sized single serving, but if you’re making lots of drinks for people, it might be worth trying a punch instead. Loading several drinks into a shaker is not only messy, it will also lack the crucial chilling and dilution due to the smaller body of ice. There’s no excuse for a poorly made cocktail if it costs the earth.